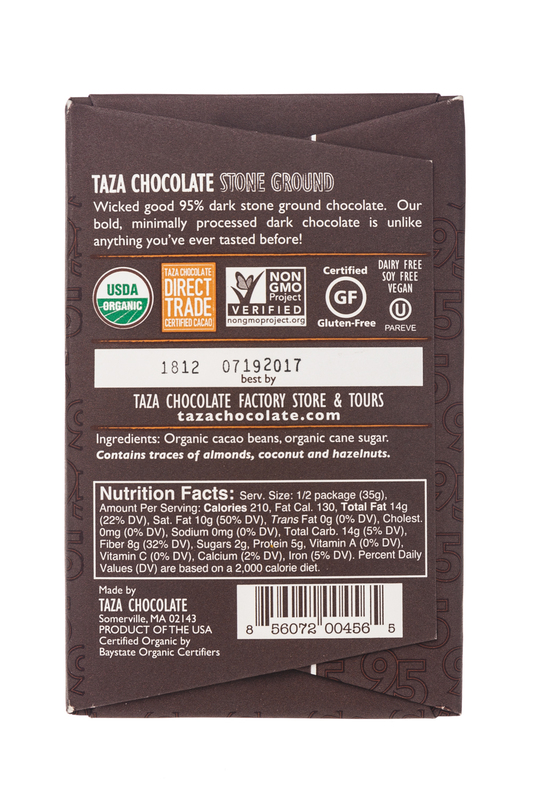 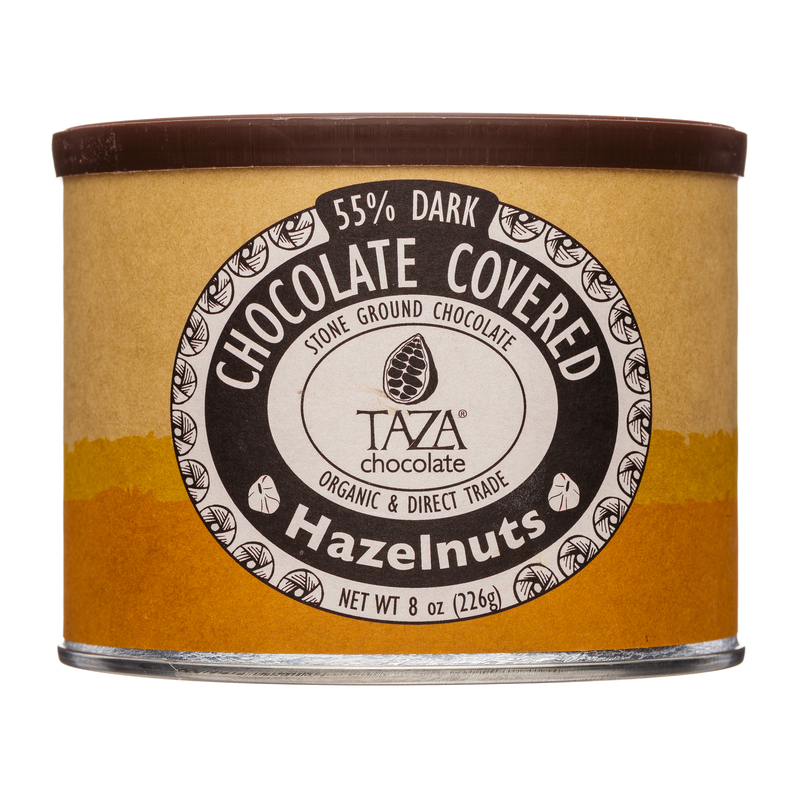 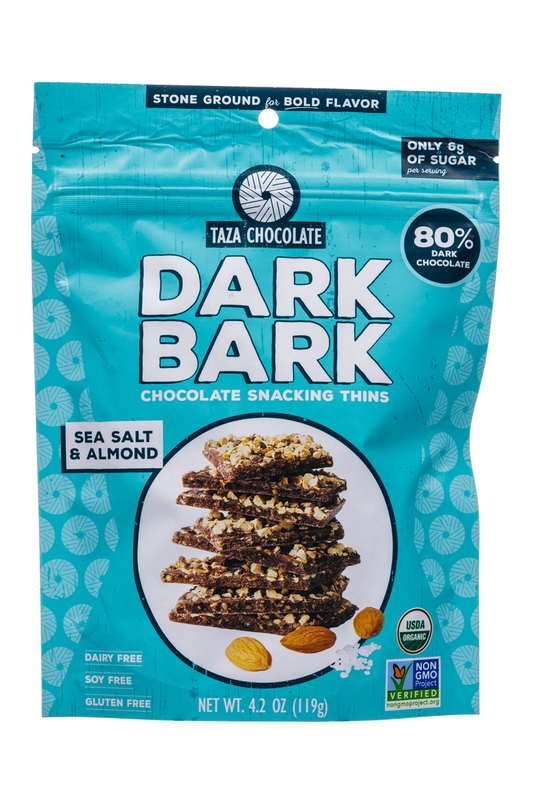 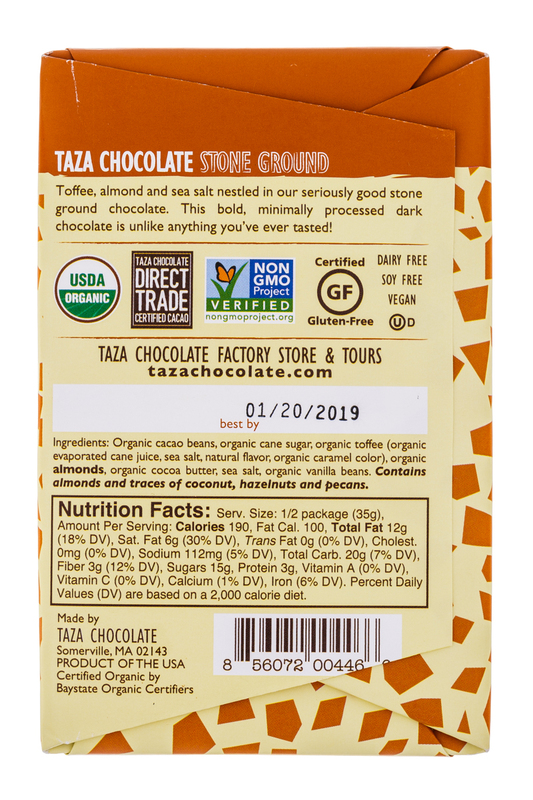 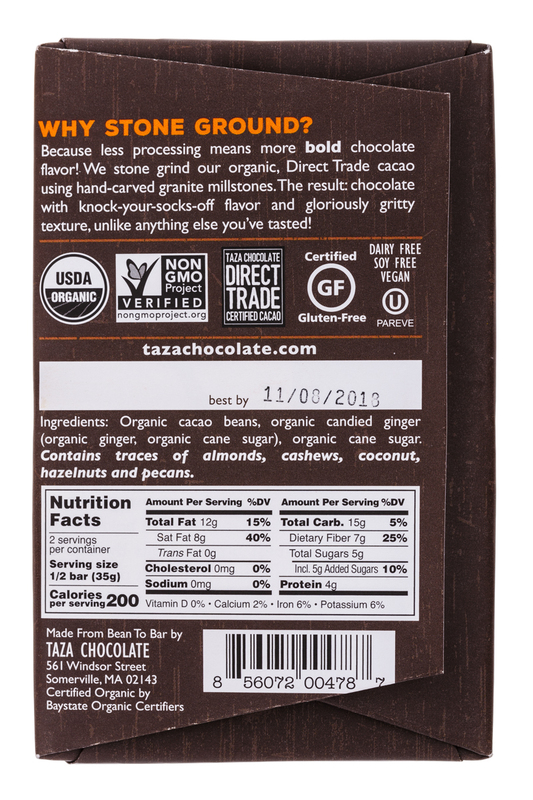 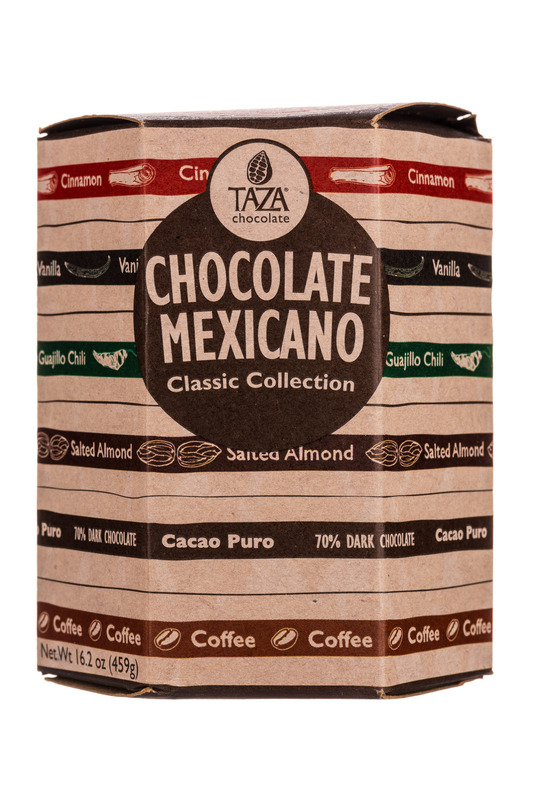 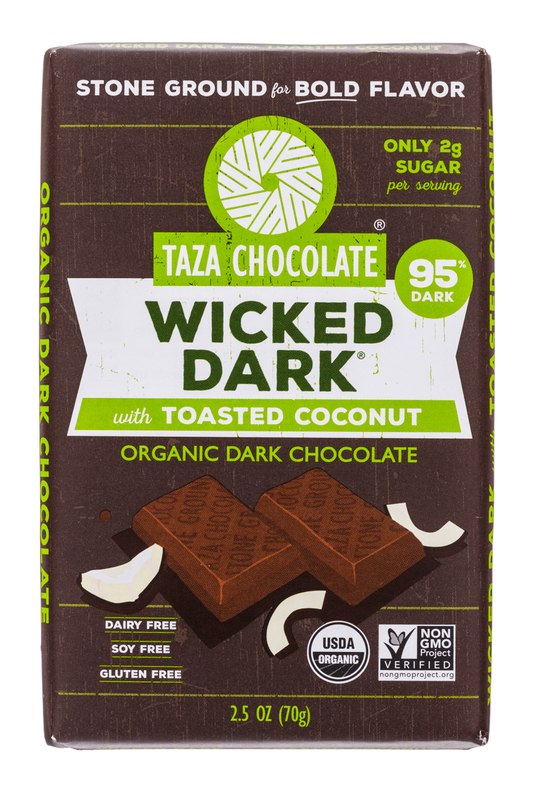 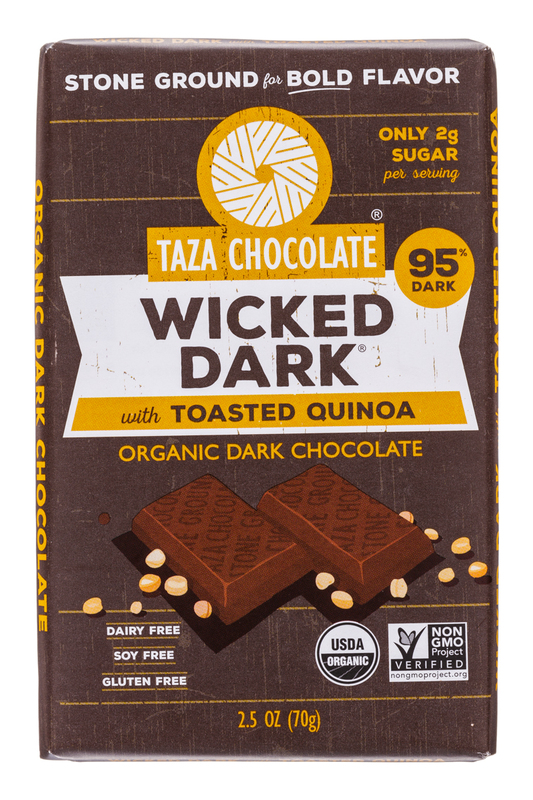 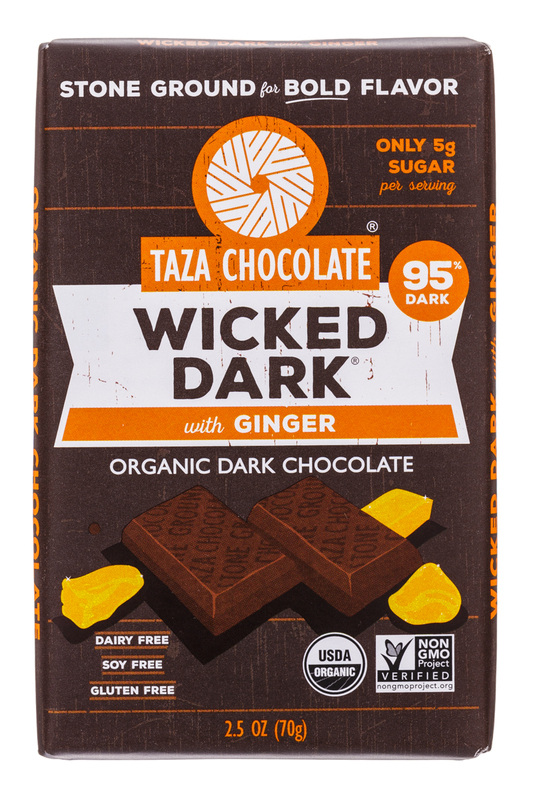 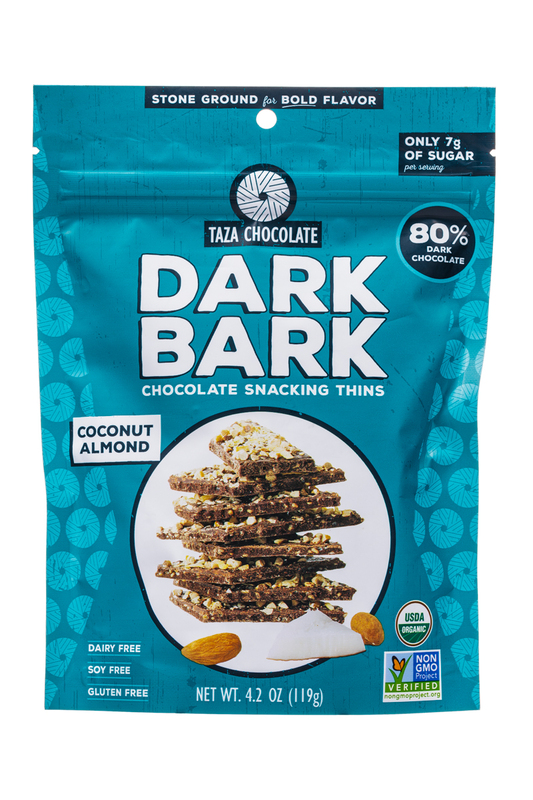 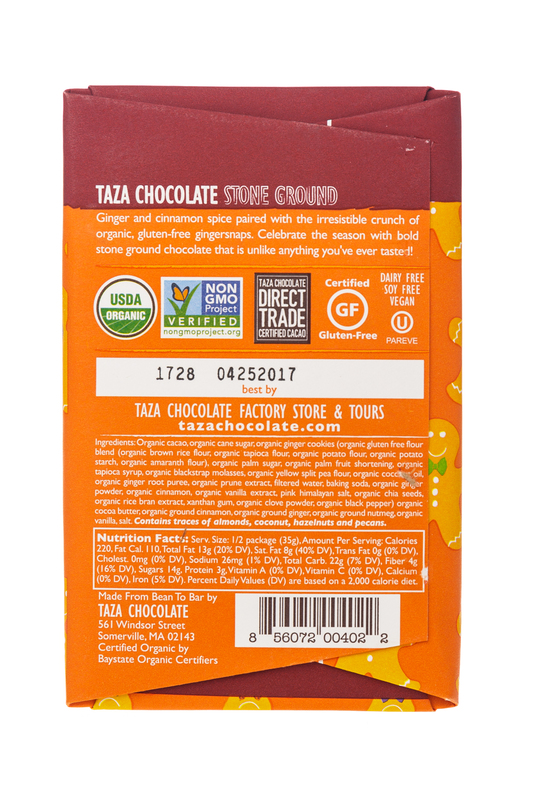 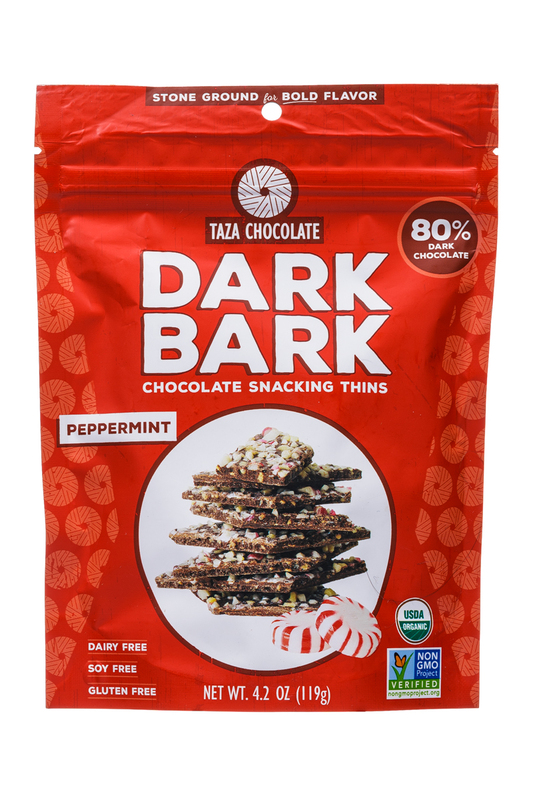 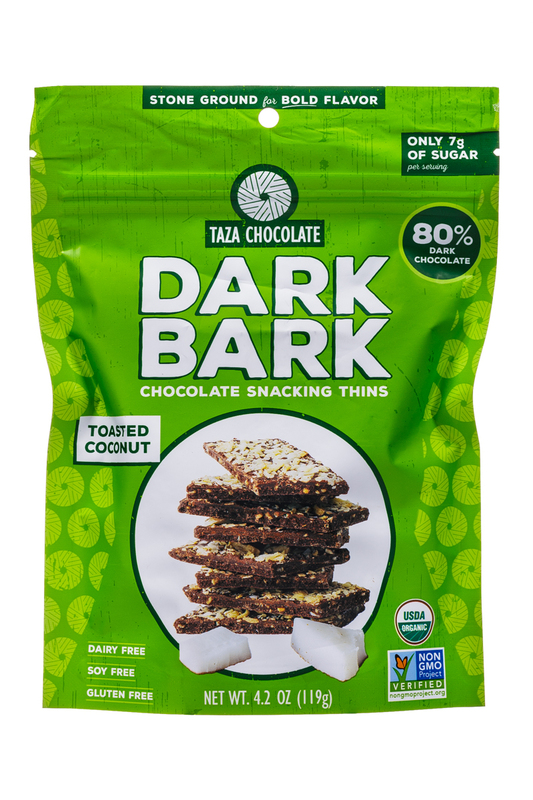 ABOUT TAZA CHOCOLATE: Taza Chocolate is dedicated to the craft of organic, bean-to-bar chocolate that is good for farmers and seriously delicious. 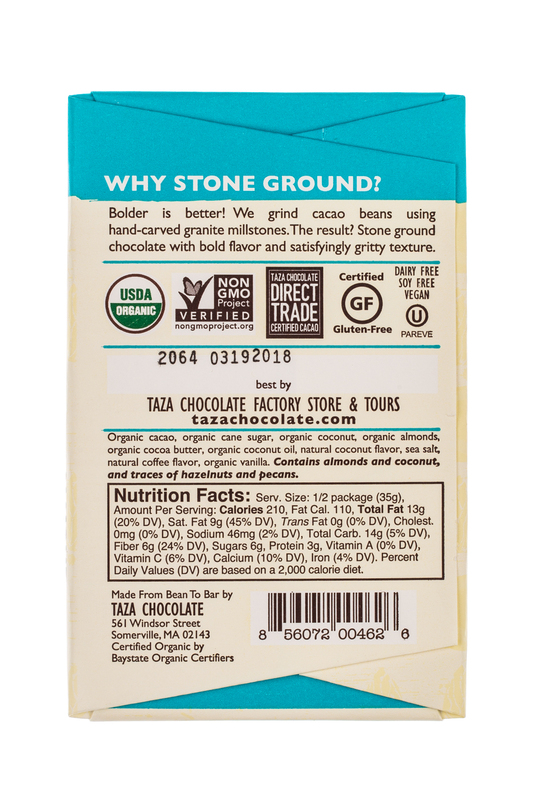 We are proud to be the only producers of 100% stone ground, artisan chocolate in the US. 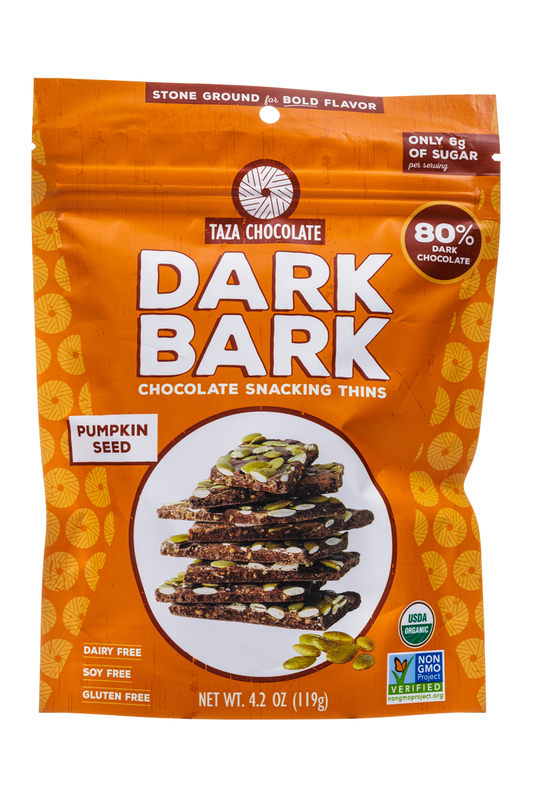 We cultivate direct relationships with our growers and work together with them to meet our high quality standards. 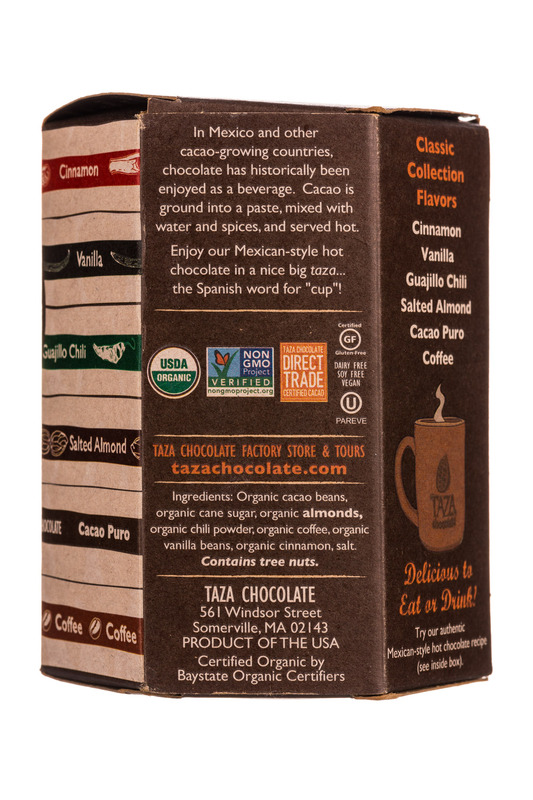 Our commitment to Direct Trade means we cut out the middleman, and we always pay a premium above Fair Trade prices for our cacao beans. 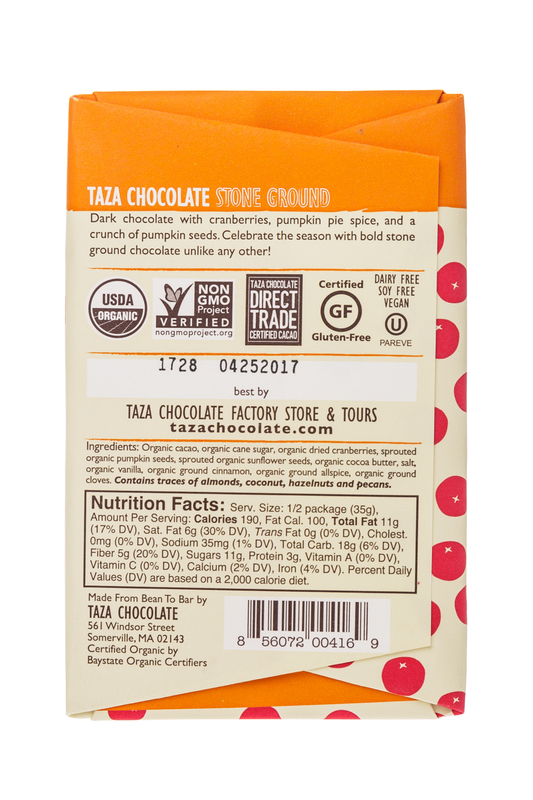 As active members of Slow Food USA, we vow to uphold the principle of “good, clean and fair.” We make chocolate that is good to eat, clean for the planet, and fair to farmers. 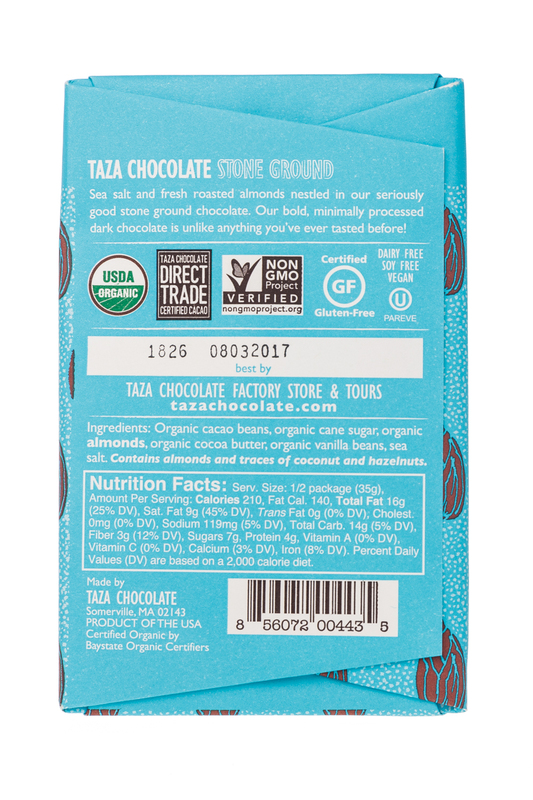 INGREDIENTS DIRECT FROM THE FARM: Our supply chain is simple: direct from the farm to us to you. 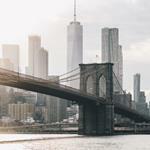 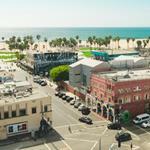 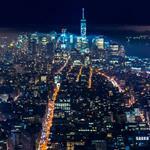 We don’t believe in using intermediary brokers! 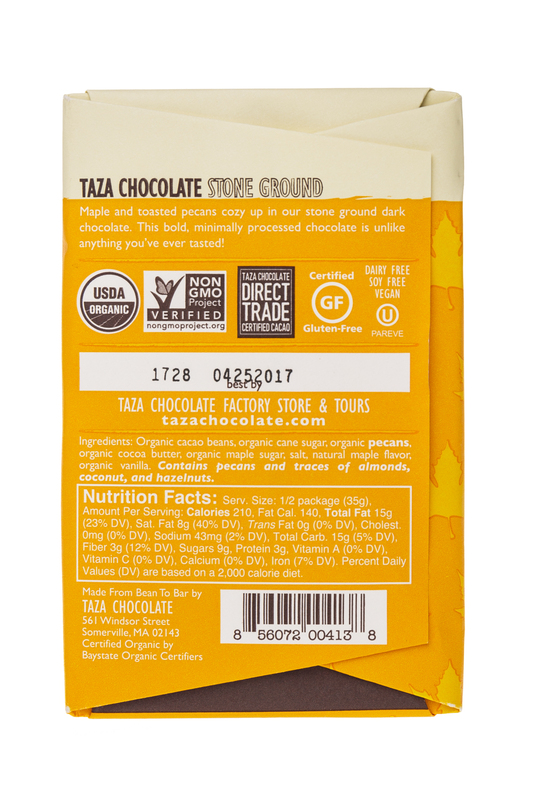 Direct relationships with our growers bring us the highest quality ingredients while ensuring fair wages and work practices on the farm. 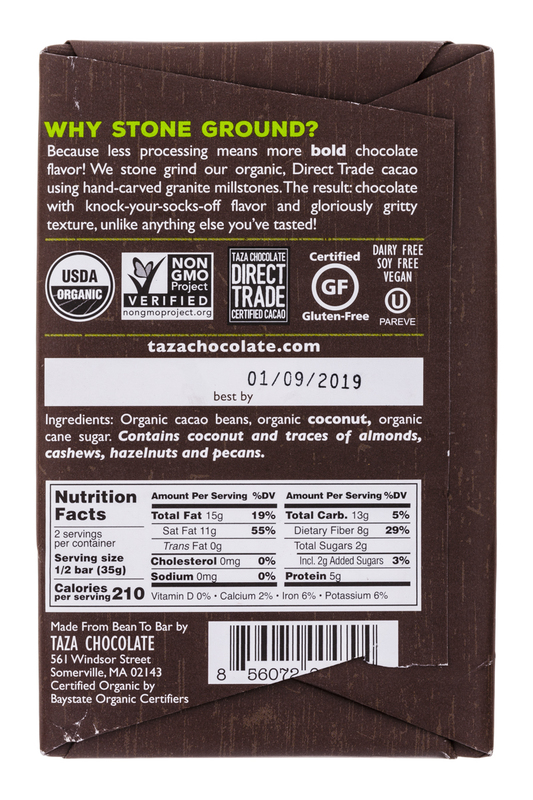 WE KEEP THE BEAN IN THE BAR... : Our chocolate is minimally processed to help preserve the bright fruit and berry flavors inherent in the beans. 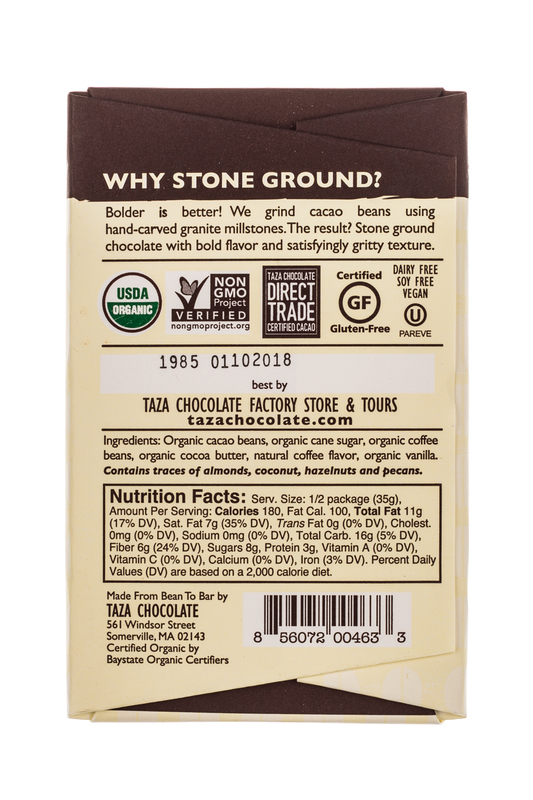 We use traditional stone mills to grind the cacao nibs for our chocolate, the method used for centuries to make chocolate in Central and South America. 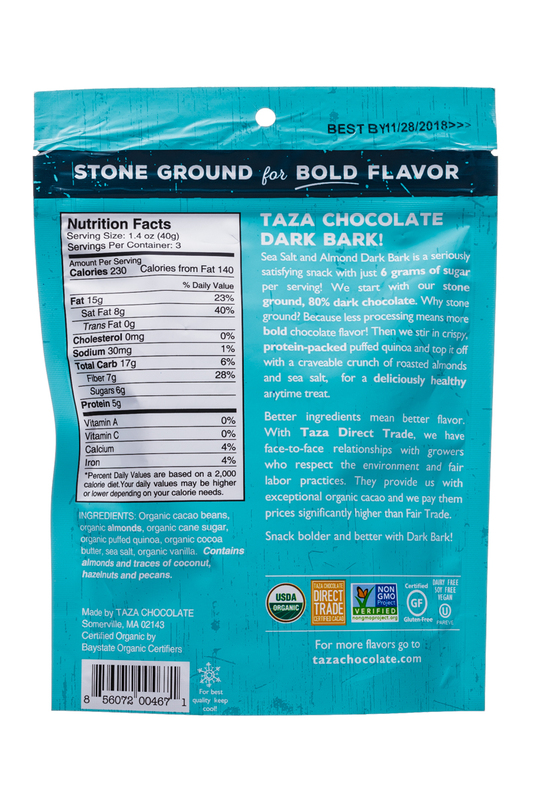 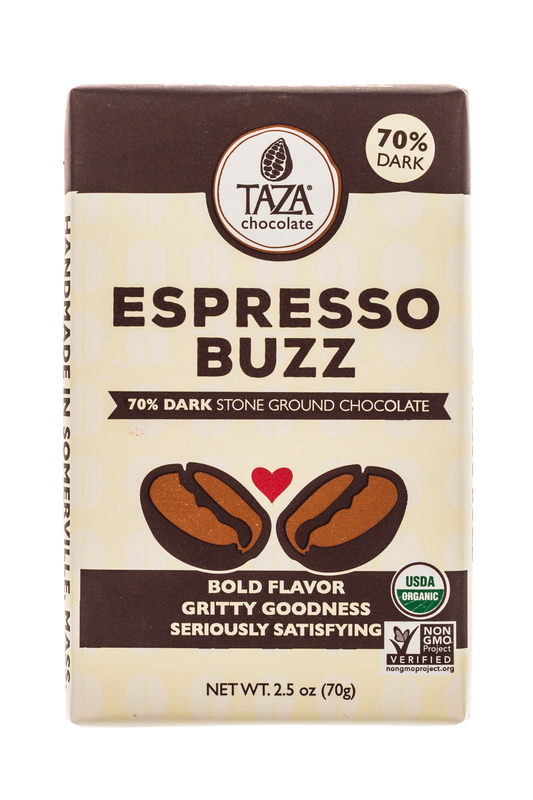 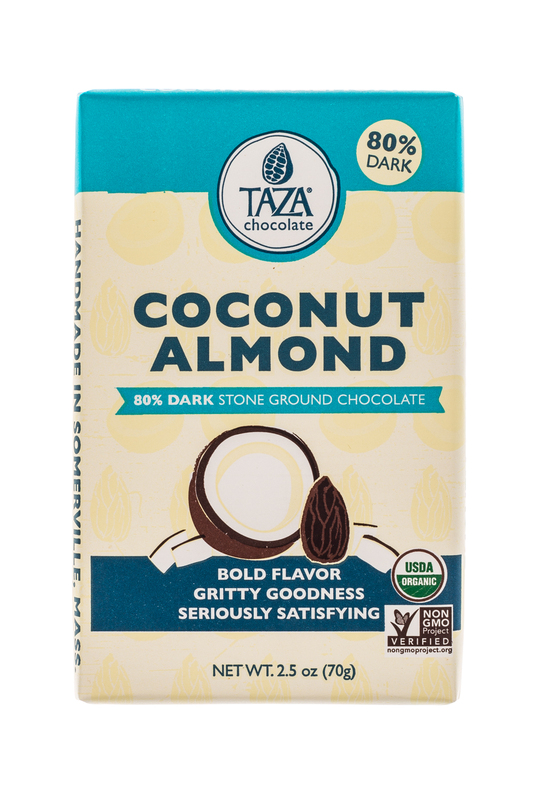 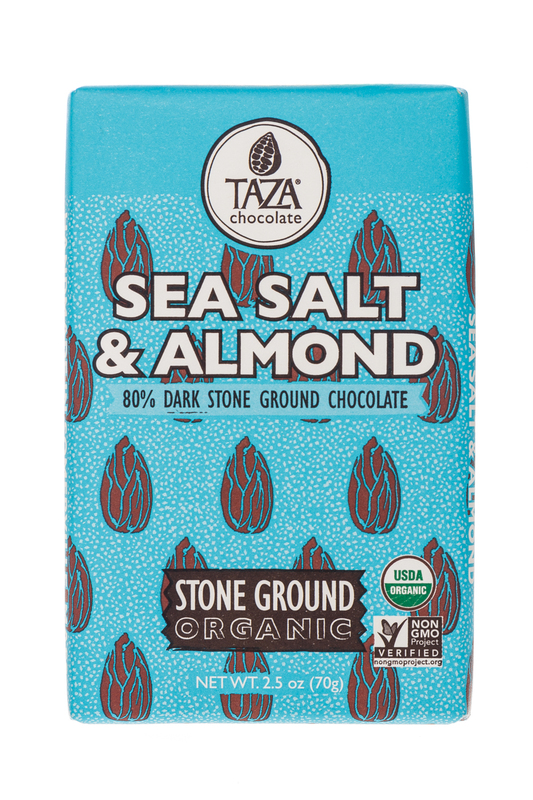 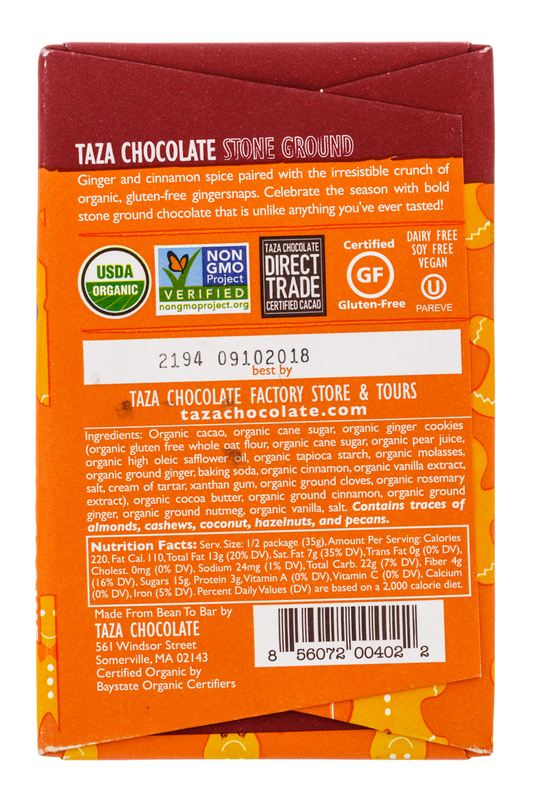 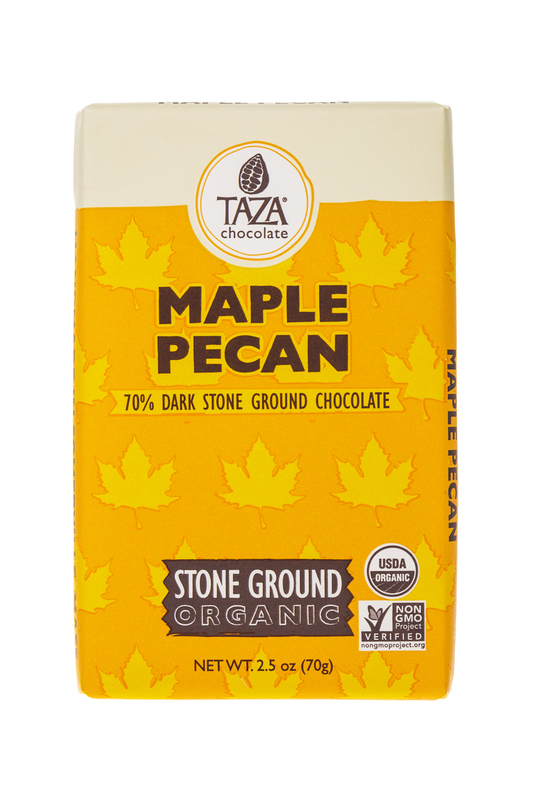 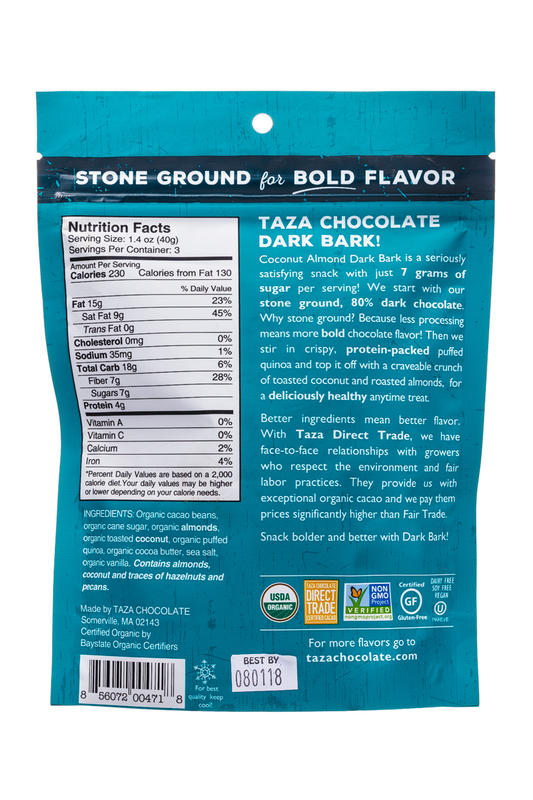 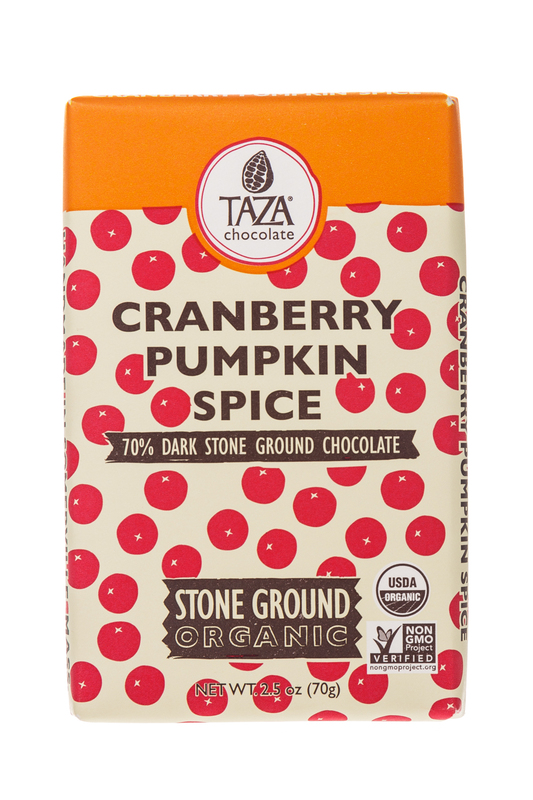 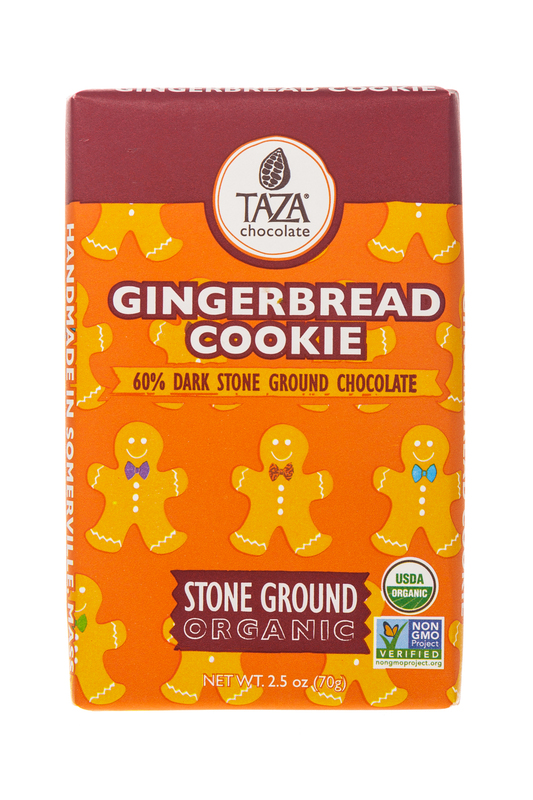 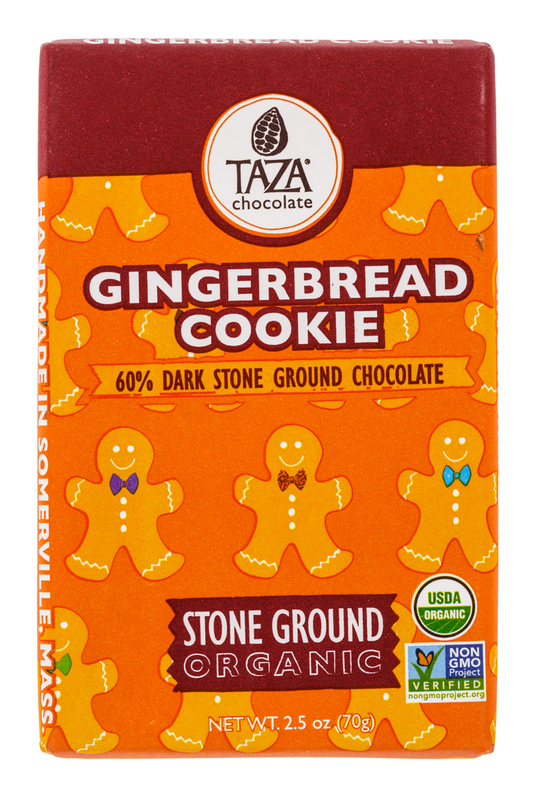 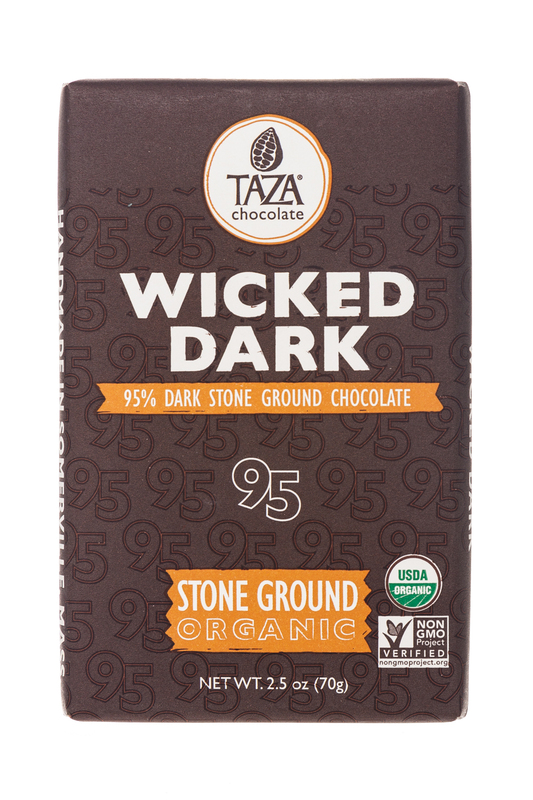 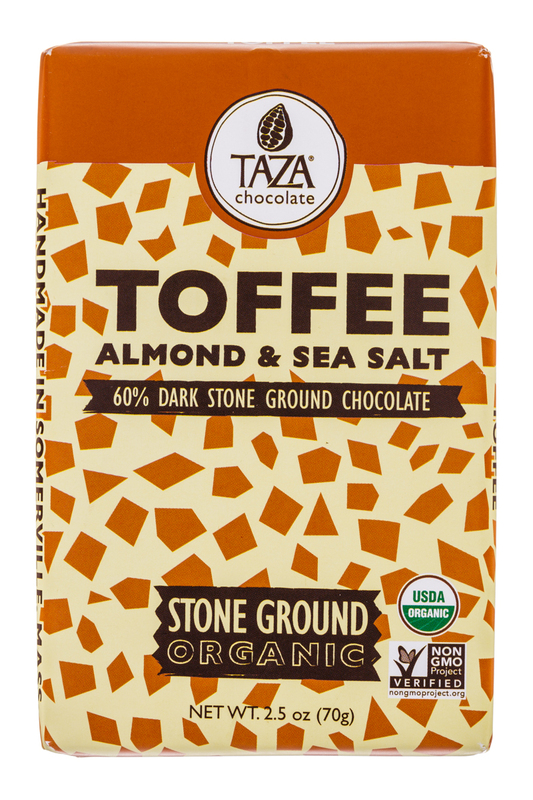 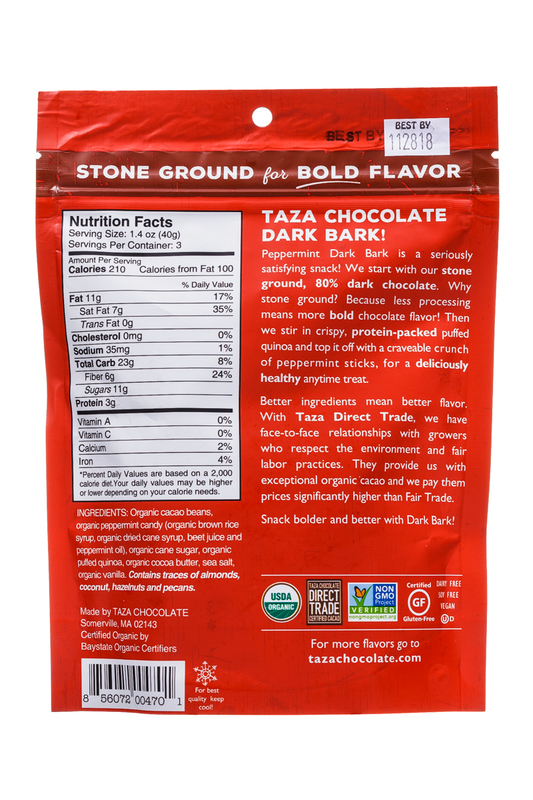 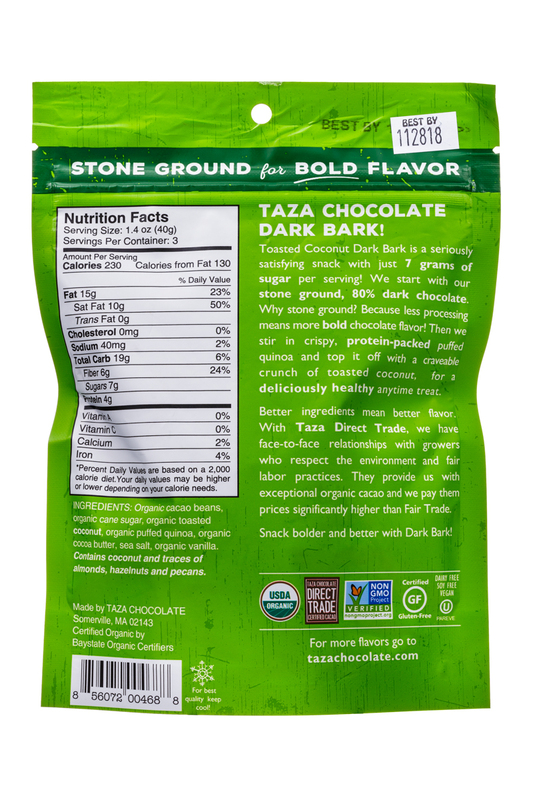 TAZA CHOCOLATE IS MORE THAN A CANDY BAR: Our stone ground, organic chocolate bar is so ridiculously good that it just doesn’t make sense to call it candy. 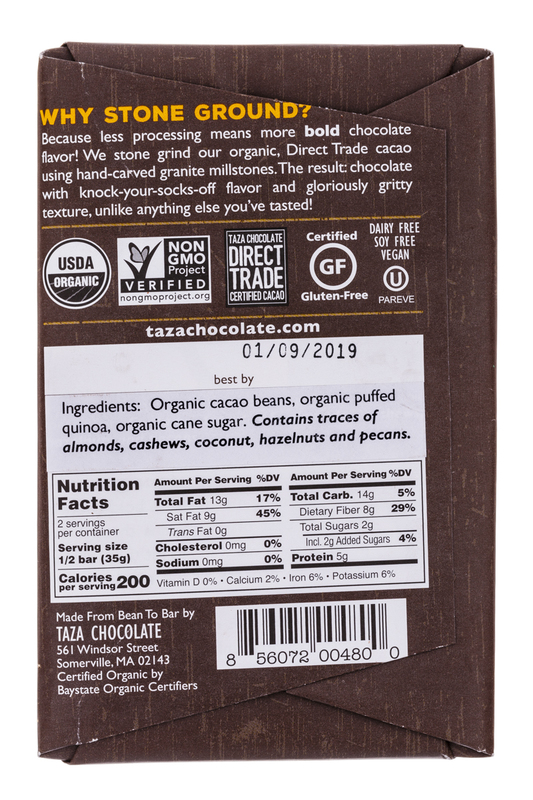 From the great care that goes into sourcing our beans, to the hand-dressed grooves in our granite millstones, to the attention to detail in every hand-wrapped piece of chocolate… candy just isn’t the right word. 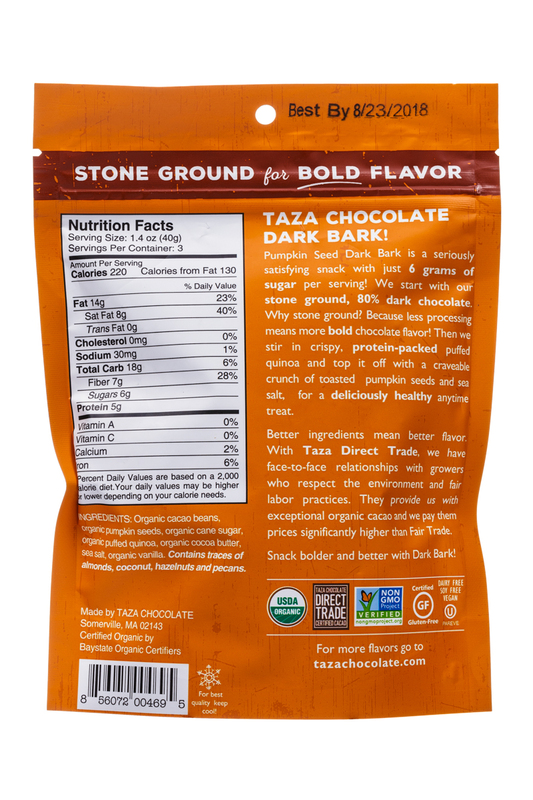 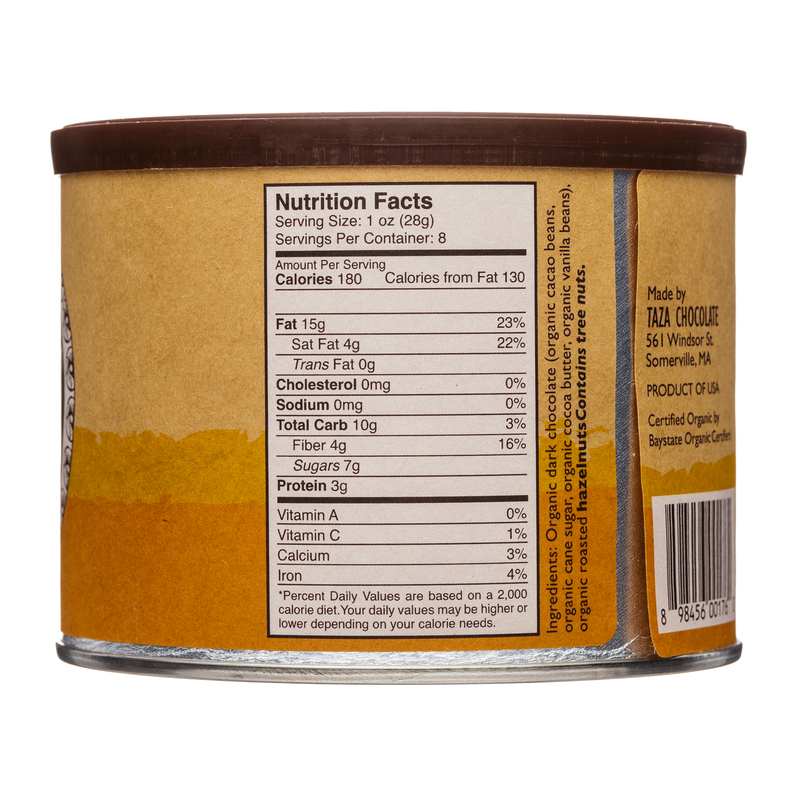 Taza Chocolate is food!